Two golfers took different paths to their induction into the South Carolina Golf Association Hall of Fame. Steve Liebler became one of the top amateurs in South Carolina after some time on the PGA Tour and after coaching at South Carolina. Steve Liebler was inducted into the SCGA Hall of Fame. Among the HOF golfer’s accomplishments was winning the Eastern Amateur three times. He won his third title 30 years after claiming his first championship. Boyd began his career as a college golfer at Maryland, but spent most of his 27 year professional career in the Carolinas. Liebler and Boyd’s family accepted their Hall of Fame awards at the annual Golf Day celebration at Columbia Country Club. “To be included with the great players who are already in the Hall of Fame is breathtaking to me. I means a lot,” he said. Boyd, who passed away in 2011 after a long battle with leukemia, was represented by his family who also expressed their appreciation for his recognition. 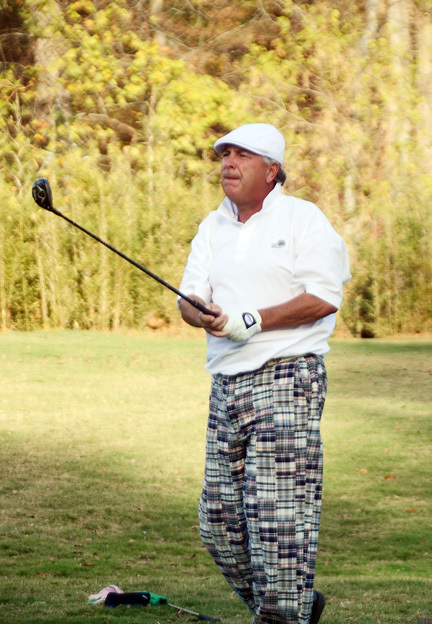 The long time club pro in the Carolinas was a dominant force in Carolinas PGA competition. He won 22 section majors and was an eight time player of the year. He played in 10 PGA Championships and often was the low club pro. He also was in the field for five USGA Opens. Bob Boyd was a record setting PGA Professional in the Carolinas. He won the 1988 National Club Pro Championship. His greatest success came when he won the 1988 PGA Club Pro Championship. During his 27 year playing career he also won four Carolinas Section championships, four Carolinas Opens and five South Carolinas Opens. The Carolinas PGA named their player of the year award in recognition of Boyd, and is a member of the CPGA Hall of Fame. Liebler was a two-time All-America selection as a college player at USC. He played the PGA Tour for four years before returning to USC as head golf coach. During his time at Carolina, Liebler’s teams made 4 NCAA appearances and won a Metro Conference title. After playing very little golf during his coaching days, it was in his last year as coach when he got the desire to come back to play tournament golf again. “When you are a little older and you have a scorecard and pencil in your pocket and you know your score is going to be in the paper you have some doubts. Can I play anymore or should I not play and let people remember what I could do as a player,” he said. Liebler has qualified and played in every USGA event, from Junior to Senior championships. 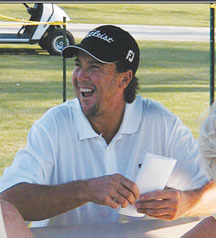 Liebler came back to amateur golf in 1994. Since that time he has built an outstanding amateur career in the state and in USGA national events. Liebler is one of the few golfers in the country who can say he has played in every USGA national competition. His first USGA event was as a junior when he played in the 1973 USGA Junior Am. He has since qualified to play in two US Opens, the US Amateur, US Mid-Amateur, US Senior Amateur, US Public Links and a host of team events including the USGA State Championship tournament. He has reached match play in all the events and the semi finals in the US Senior and Mid-Am. In state competitions Liebler has won titles and teamed up with many other top golfers to win a handful of two-man and four-ball titles. “I probably wouldn’t be here if it were not for the outstanding partners I had over the years. Gus Sylvan and Mike Gravley are just a couple of the outstanding players I’ve competed with and against,” he said. Liebler’s competitive nature has meant that he does not just play in national amateur events. He is an 11 time Columbia City Champion and has won four Festival of Flowers titles in Greenwood. 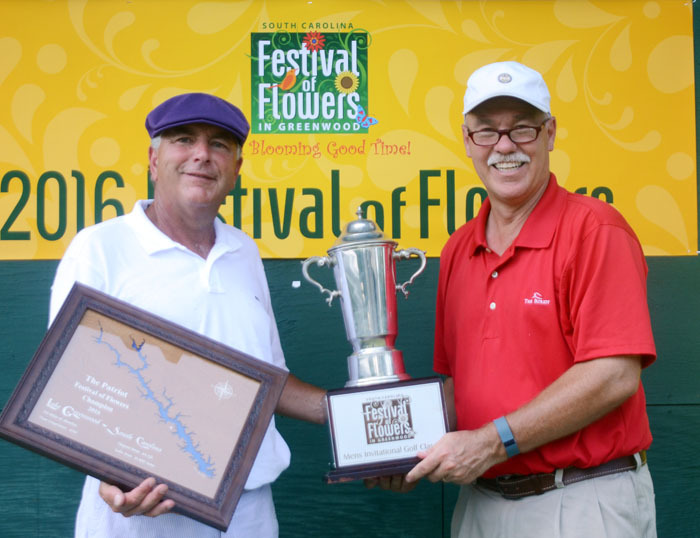 Liebler is a four-time champion at the Festival of Flowers Amateur in Greenwood. “Some people have asked my why I play in Orangeburg or Greenwood. It is easy, there are a lot of great players all over the state,” he said. As an example, Liebler lost out to future PGA Tour pro Mark Anderson in Orangeburg before Anderson won the SCGA Amateur and went on to a pro career. “In Greenwood I played against both the Haas boys and Ben Martin and a lot of other players who have been very good in and around South Carolina,” he said. His play in the Eastern Amateur is a real testament to the fact that Liebler has not only maintained his playing ability well into his 50s, but also his competitive nature. In fact he has won the championship three times. His third win came 30 years after he first won the title as a young amateur. “I like to play in these tournaments because often by being in the field other outstanding golfers play and it helps the tournament,” he said. Liebler expects to keep an active playing schedule and looks forward to more opportunities to play in national events. “You don’t start out thinking about being in a Hall of Fame, but this is a significant award. It is even more special because it means you have been recognized by your peers and that is the highest honor,” he noted. With the honor and with several shelves full of trophies, Liebler believes the best part of his years in golf has been the people he has met. “As you get a little older you cherish the fiends and the time you spend with them and the great game that gives us the opportunity to do that,” he concluded.